One of the most import things human beings need is touch. Touch is vital to our health and well-being, and even increases our longevity. Touch achieves three main things for humans. Because physical touch, like a hug, makes us feel good it also inspires trust and positive thinking. These feeling are essential if you are receiving a treatment from a therapist to make you comfortable and enjoy your treatment. Touch reduces anxiety and stress, which is a major factor, in having a beauty treatment. A lot of clients need not just results for their skin but also the ability to relax and switch off. There are not a lot of facial treatments that achieve both well. The long-term benefit of touch is lower blood pressure and even a boost to the immune system. Basically touch equals relaxed, healthy, happy humans. So how do we achieve all of this in just a one hour treatment? Facials have gone through a phase with shopping mall style in and out clinics popping up everywhere and introducing the express slap on a peel and leave style treatment. Or just come in for a laser rejuvenation quick session. These treatments can be as short as 15mins and marketed as an essential quick fix. Somewhere along the way we lost track of longer more in depth care and treatments. 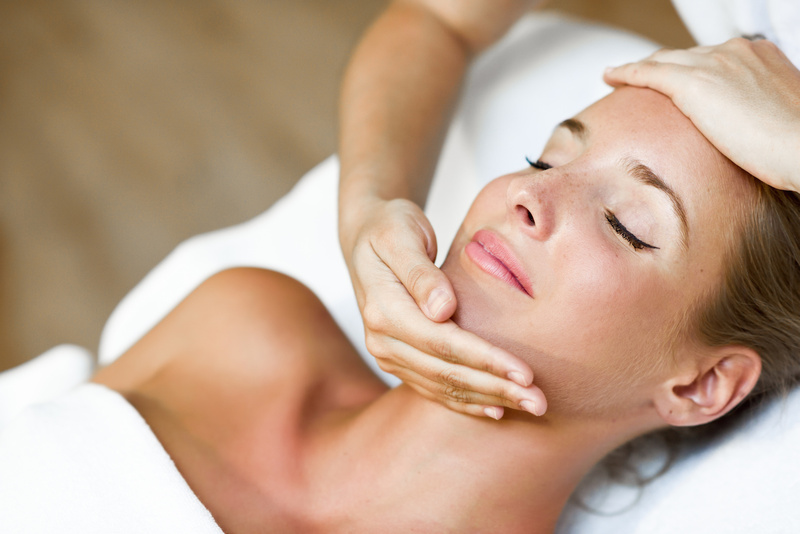 In most cases I feel like massage is essential in all facial treatments. Even if you’re having a treatment for acne skin, which can’t be massaged, at the very least an arm and shoulder massage can make all the difference to the client’s well being. For those clients coming in for more facial rejuvenating treatments massaging the face in the correct way makes ALL the difference. Honestly sometimes as a therapist I feel like I could just do a cleanse and massage a face with sorbolene cream and the clients will get off the bed toned and glowing. That is the power of touch and massage and how essential it is to facial treatments. I often talk about ‘building healthy skin for life’ and massage in a facial treatment is the clinic version of that. We want juicy, healthy, glowing plump skin. Not traumatized, stressed thin skin. So how do we achieve the healthiest skin possible? Firstly I don’t over exfoliate, I have a few different grades of enzyme based professional exfoliators I use in the clinic and that’s it. No dermaplaning, microdermabrasion or strong alpha hydroxy acids. Depending on the skins needs I might do more cleaning with galvanic or a mask, or even do a micro current lift for toning ageing skin. Then I always do an infusion with the sonophoresis spatula to feed the skin and replenish what we may have taken away. I finish treatments with the facial massage. This gives all the gel based serums and masks the ability to infuse into clean skin before we feed the skin with a hydrating creamy mask while we massage and work those muscle to achieve that toned glow. Think about your last facial treatment, did you get off the bed and say wow? Were you still glowing a week later? Great organic products and professional touch are essential to glowing, healthy skin.